So, I didn’t even know this was a thing. I overheard a few of my fabulous co-workers discussing it at a meeting yesterday, and completely interrupted them because it sounded like such a cool idea! 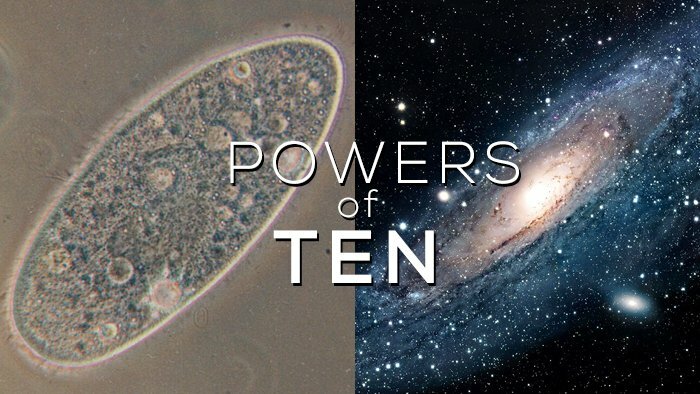 You can do all sorts of things to celebrate Powers of Ten Day. It would probably be appropriate to show the famous Powers of Ten video, which does an amazing job of zooming out and in on a picnic scene by powers of ten. This document by Jerry Becker gives some other ideas for activities for various grade levels. Or, you can check out the “Zoom Inside Stuff” link on Strange Matter. The Scale of the Universe or The Universe Within are both fun, too. Here is a Pinterest Board full of Power of 10 activities for younger students. Do any of you celebrate this day? I would love to hear what you do! Just think if all the people had been educated to their fullest desire and capability. That’s a question as much as a concept. This is reference to an experience within the past week, (scale of the universe) a star party, approx. 40 astronomers shared their telescopes with the public last weekend. This is what it looked like. Divide the night sky from horizon to horizon into dots the size of a pencil eraser held at arms length, double that, in each of those dots are thousands of stars and surely everyone of those has planets orbiting the star – plus moons – plus asteroids/comets. That’s what we can see, then the space that gravity is too strong to allow light to escape. We will attempt to make some sense of it. Imagine what happened billions of years ago.